Unveiled in 2011, the First Class Lady Models feature balanced proportions and they are very comfortable to wear. The curves of its 38mm diameter case enclose an automatic movement, hidden by a steel case back bearing the fine stamp of the Brand’s rotor. 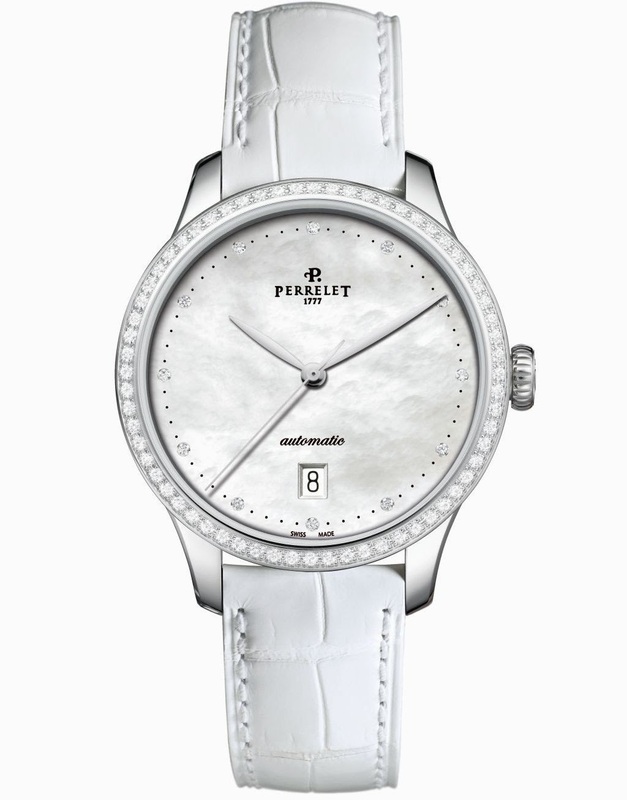 Embellishing its elegance, the bezel is adorned with 64-diamonds.Refined and punctuated with brilliants, the white or black mother-of-pearl dials remain clearly legible. 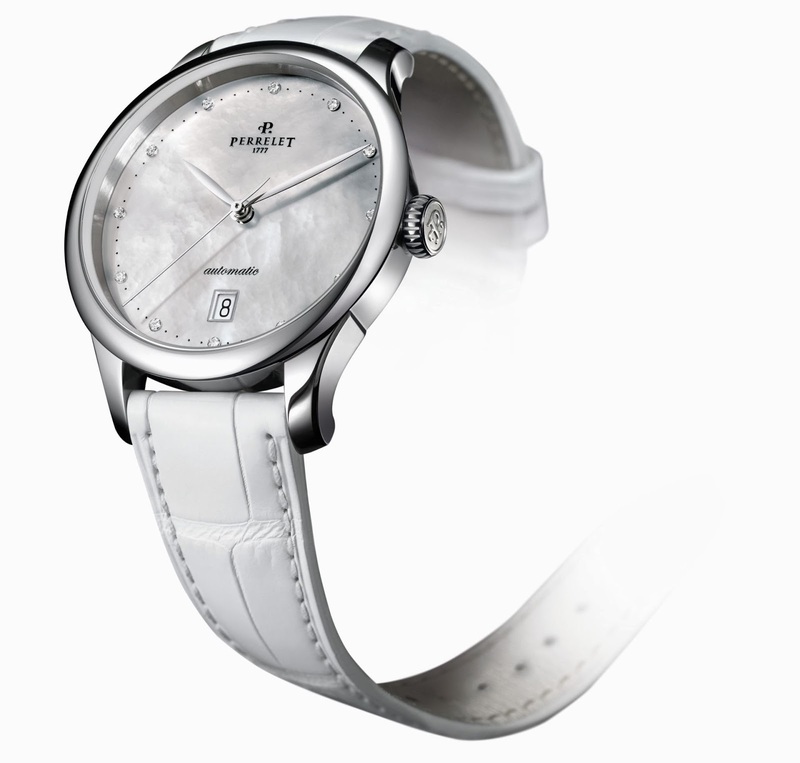 The models, available in set and non set versions are complemented by a genuine alligator strap with a folding clasp.